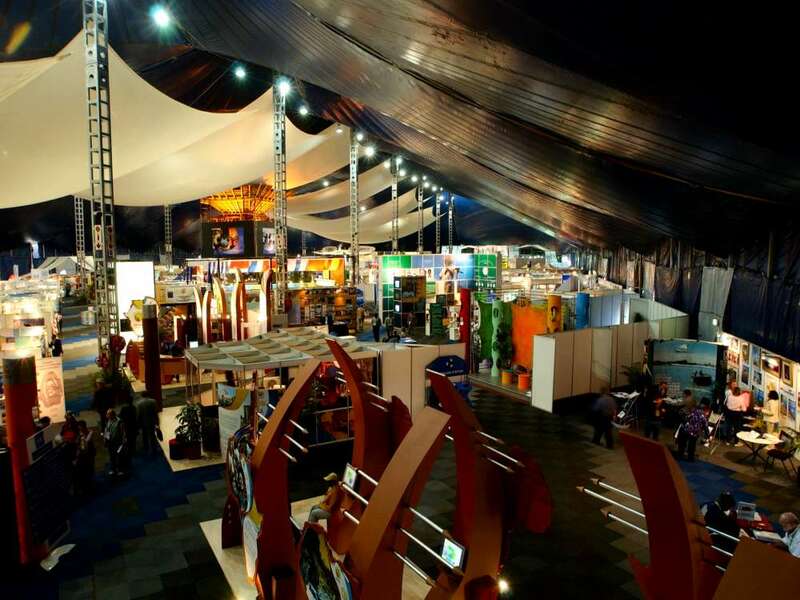 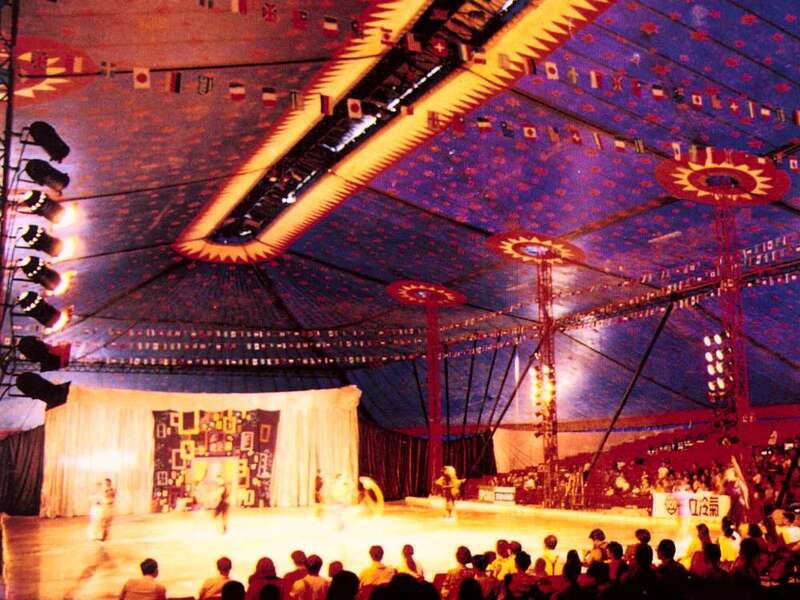 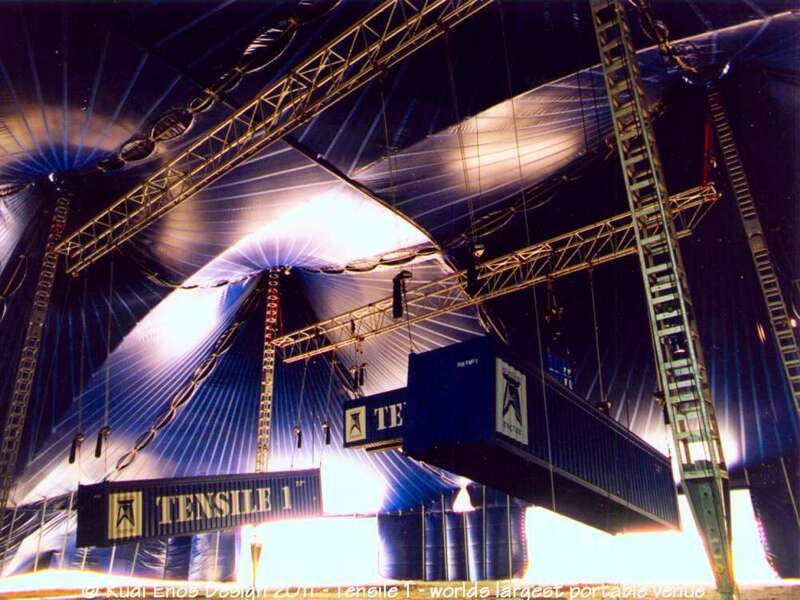 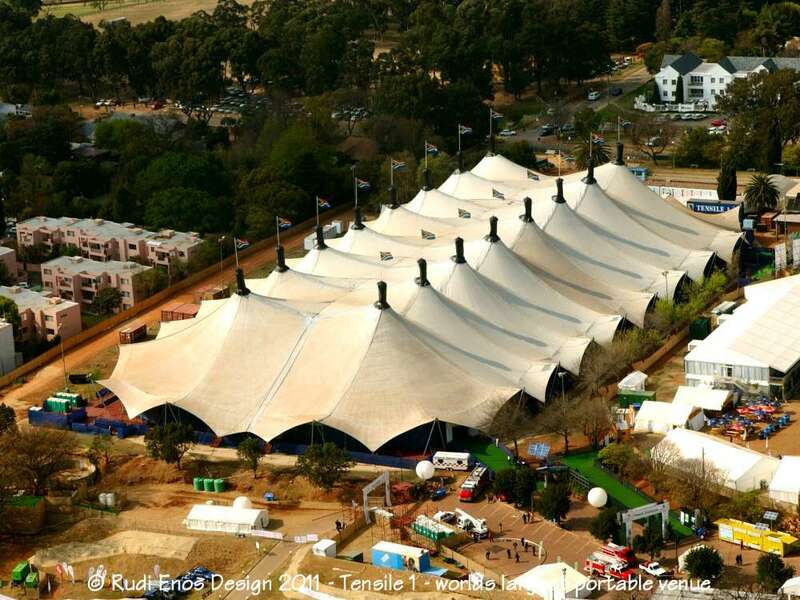 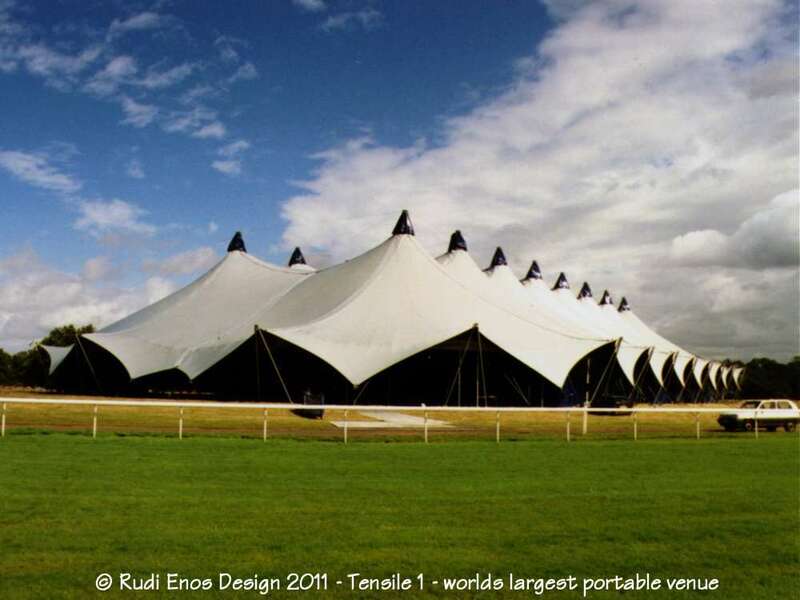 The largest portable structures in the world for events. 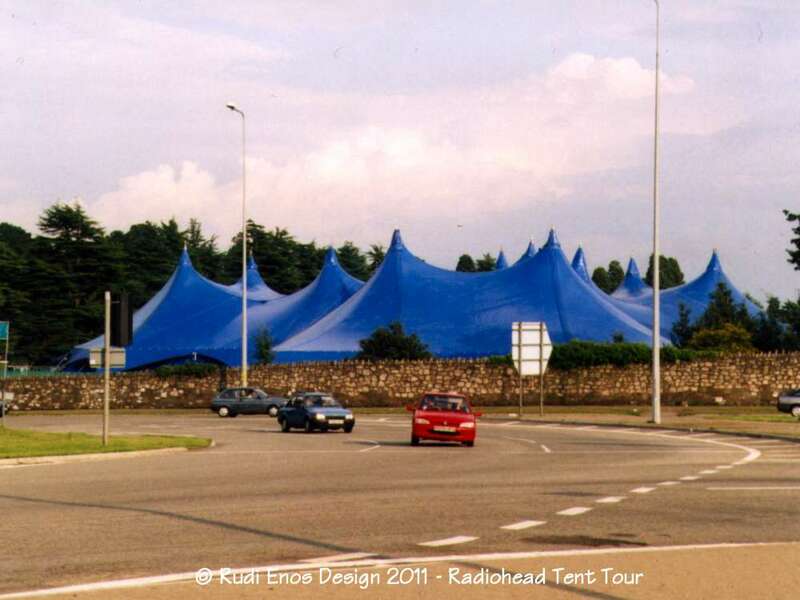 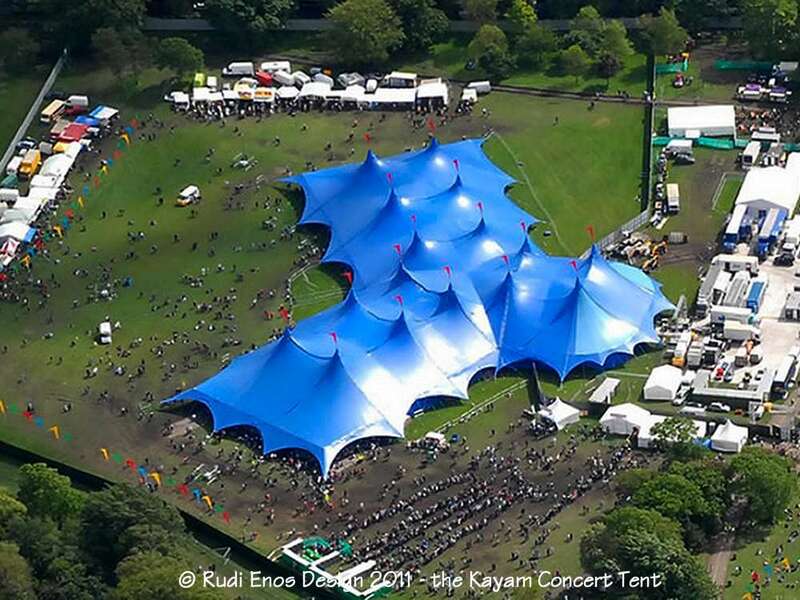 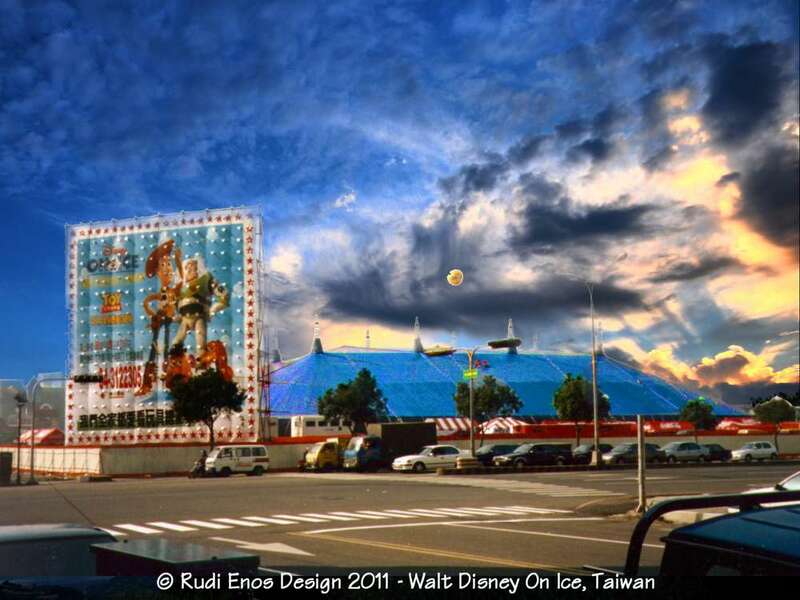 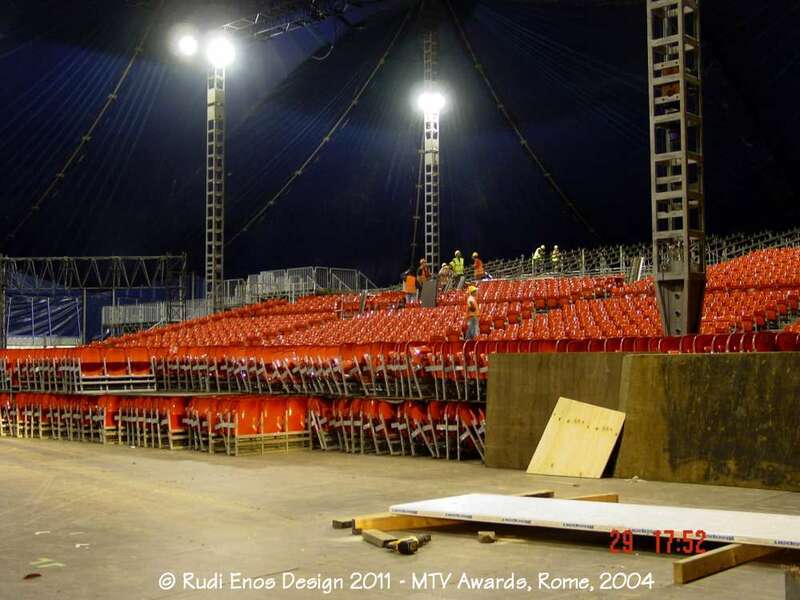 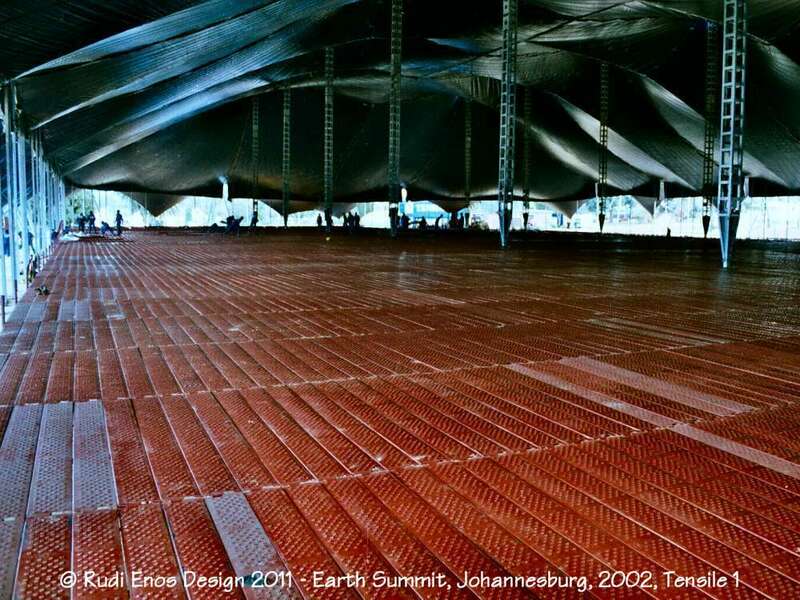 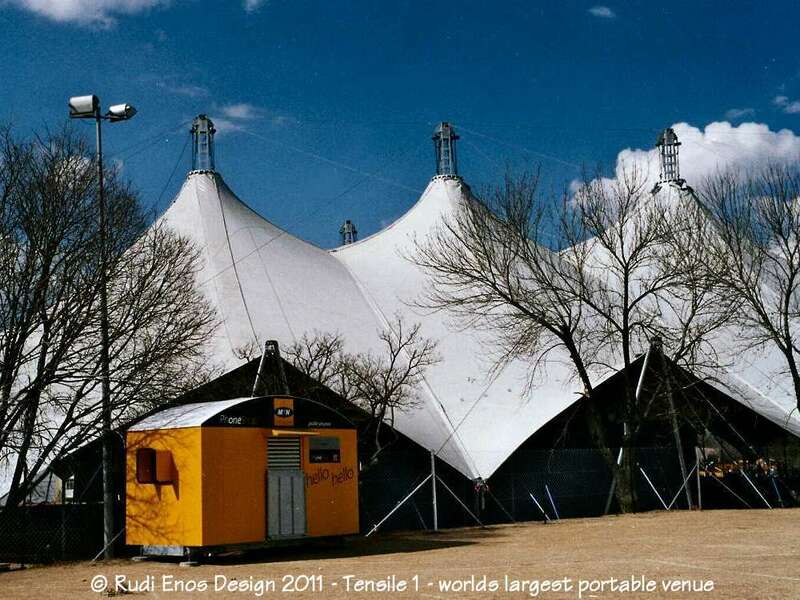 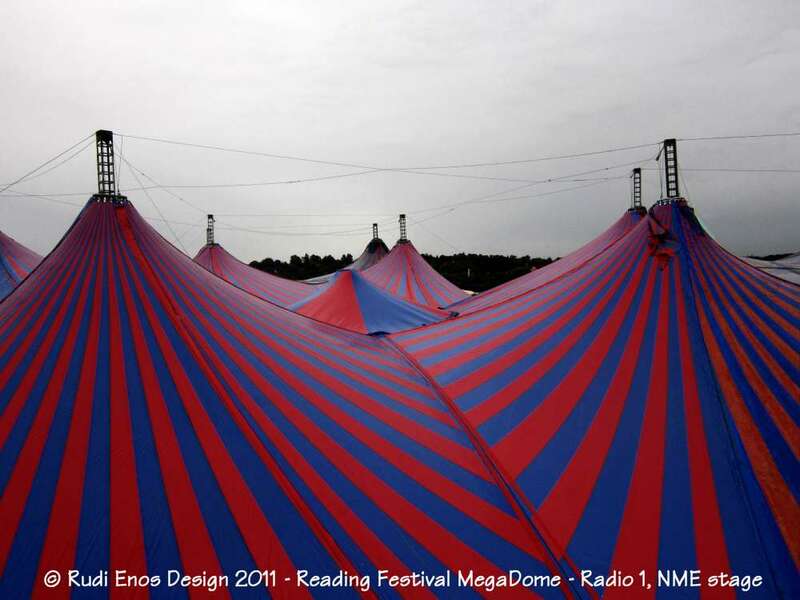 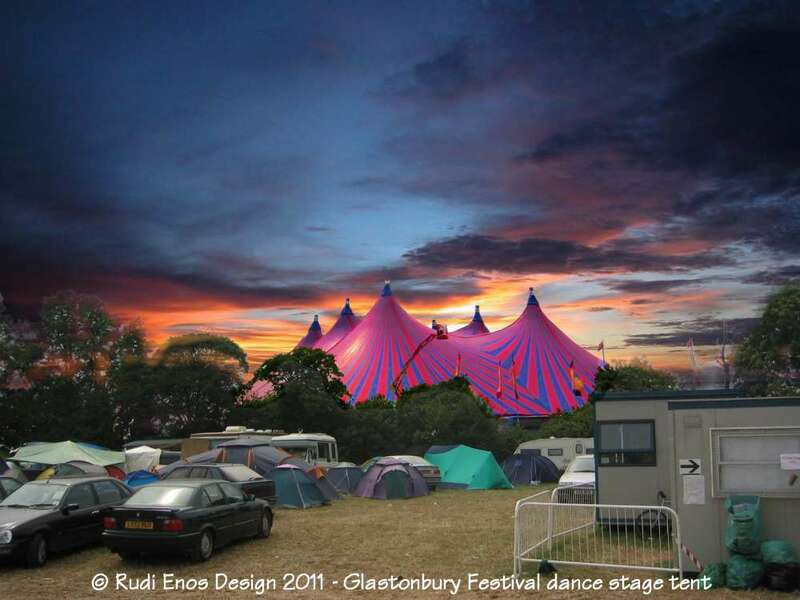 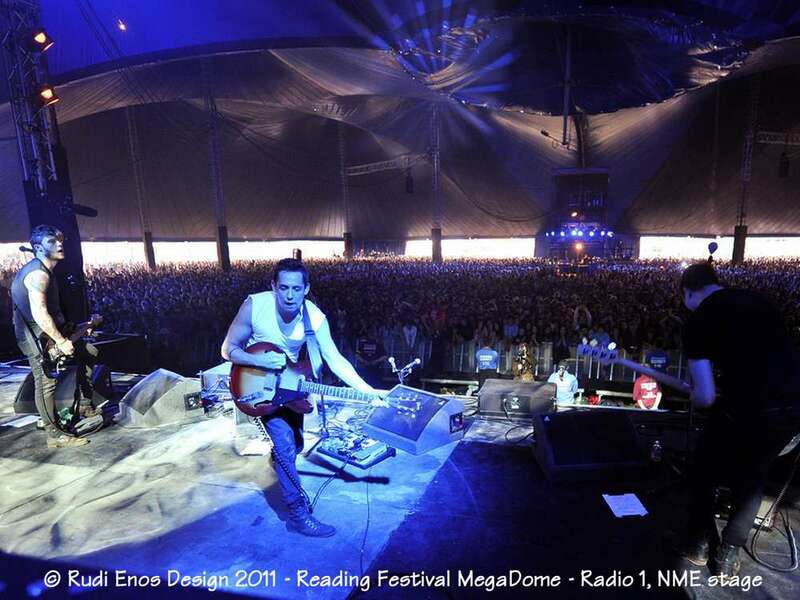 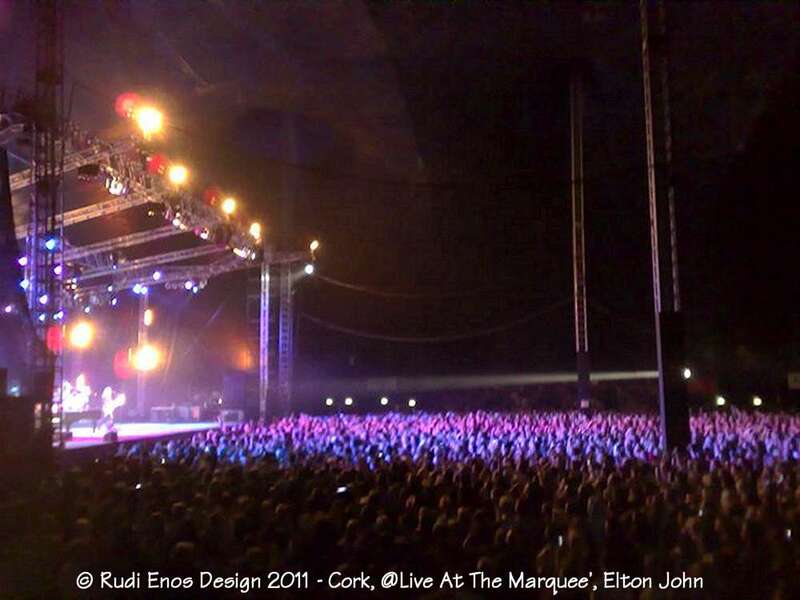 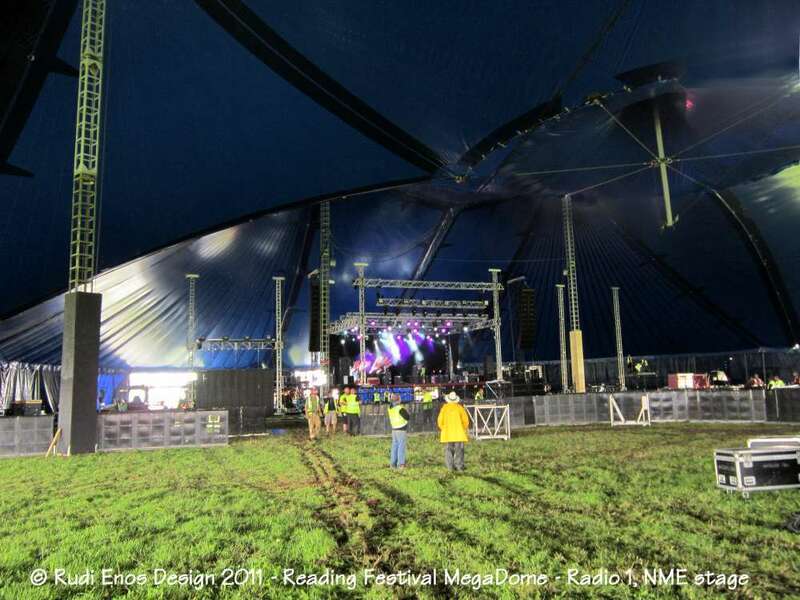 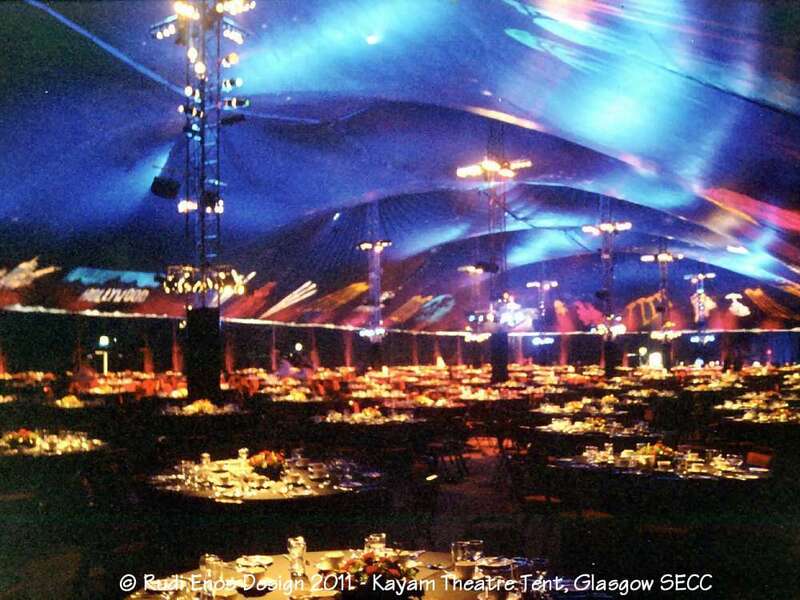 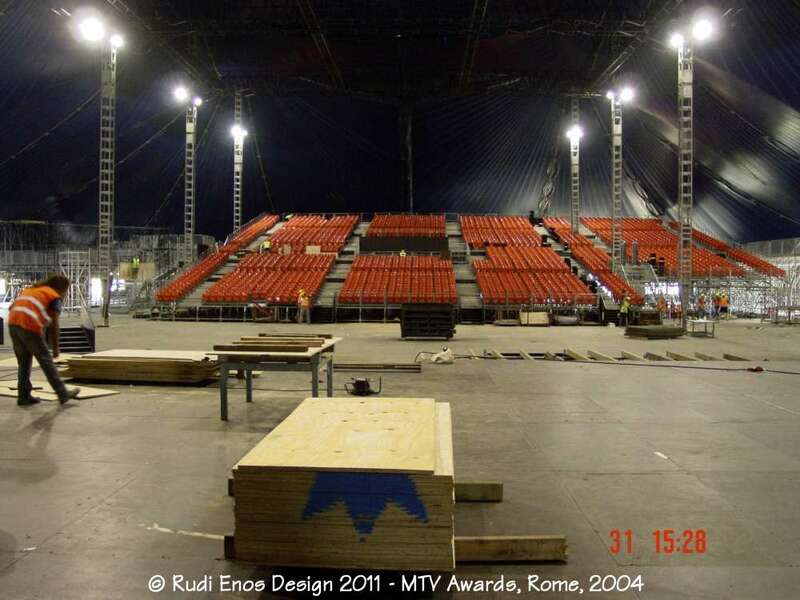 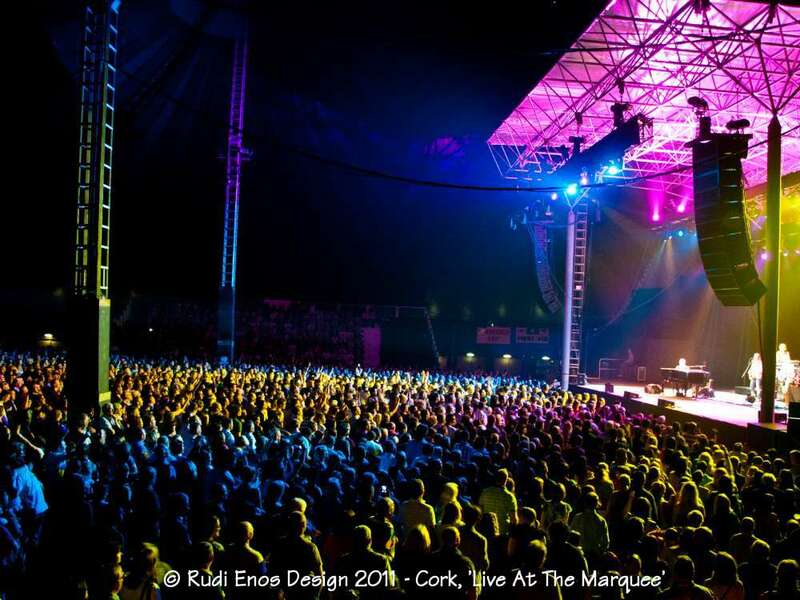 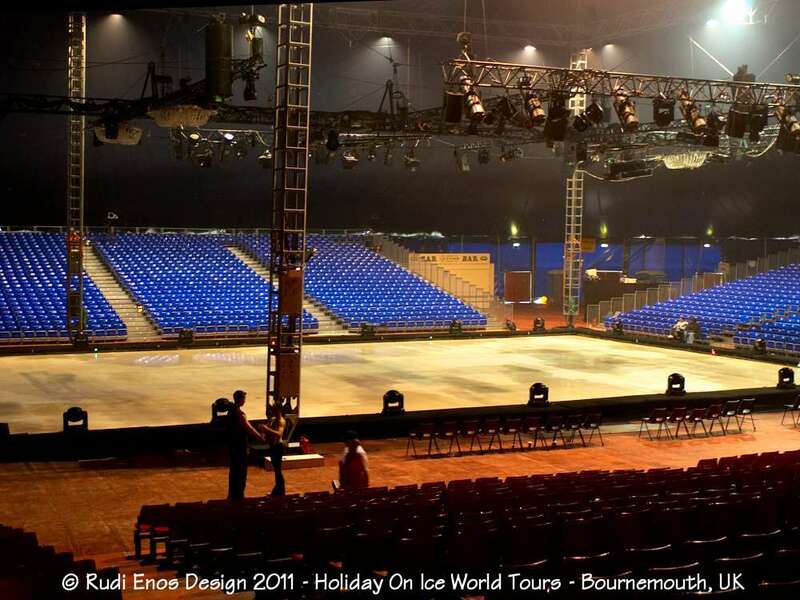 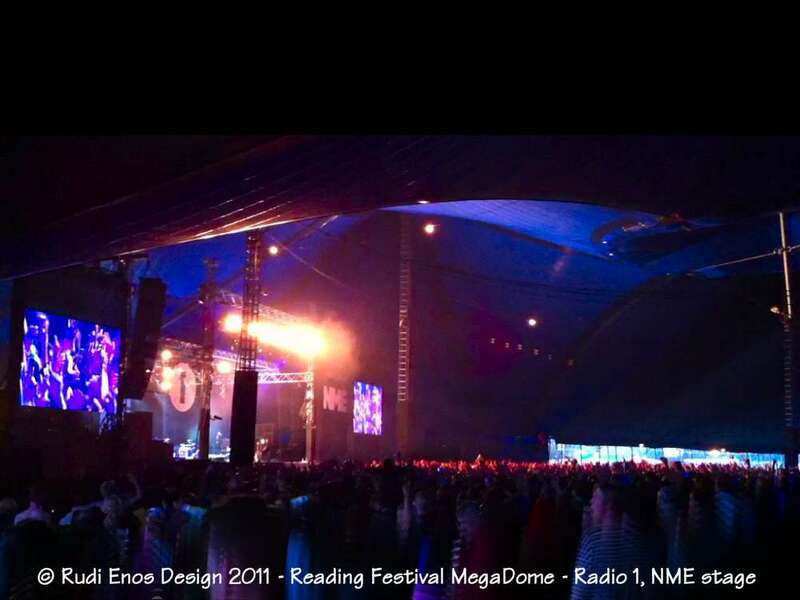 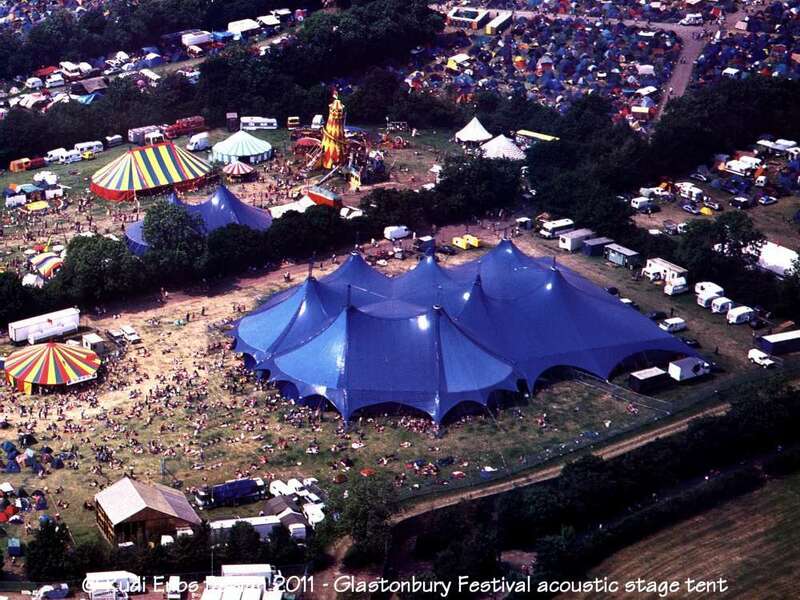 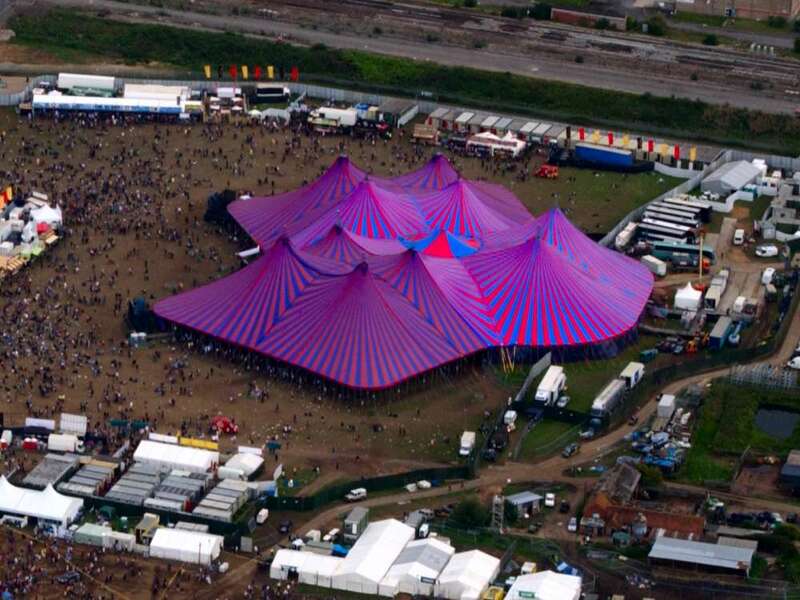 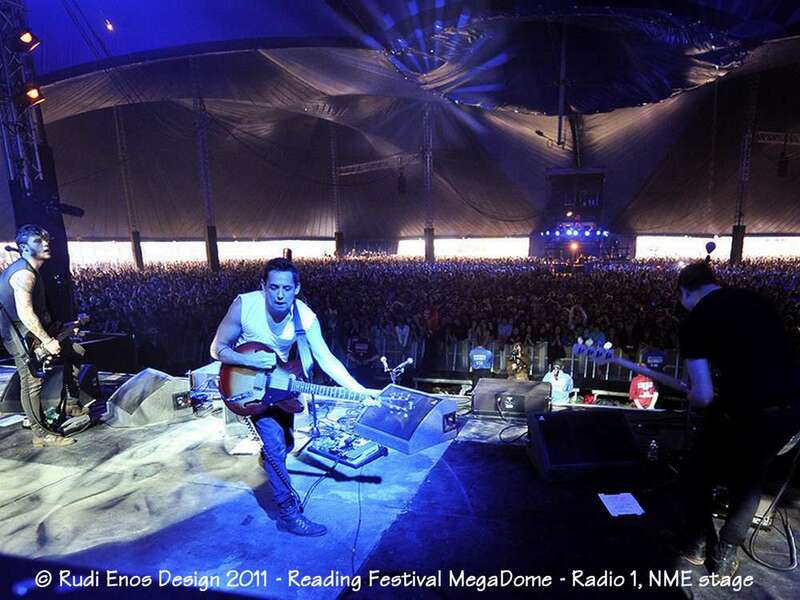 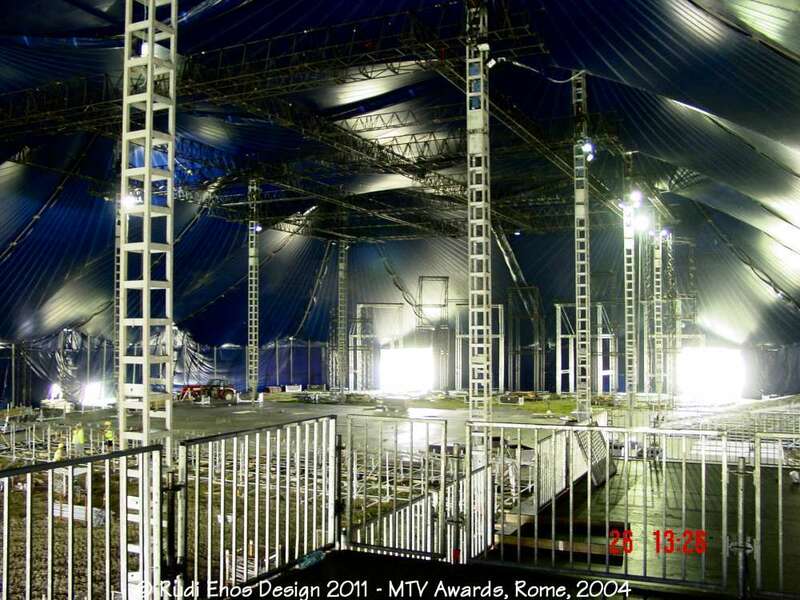 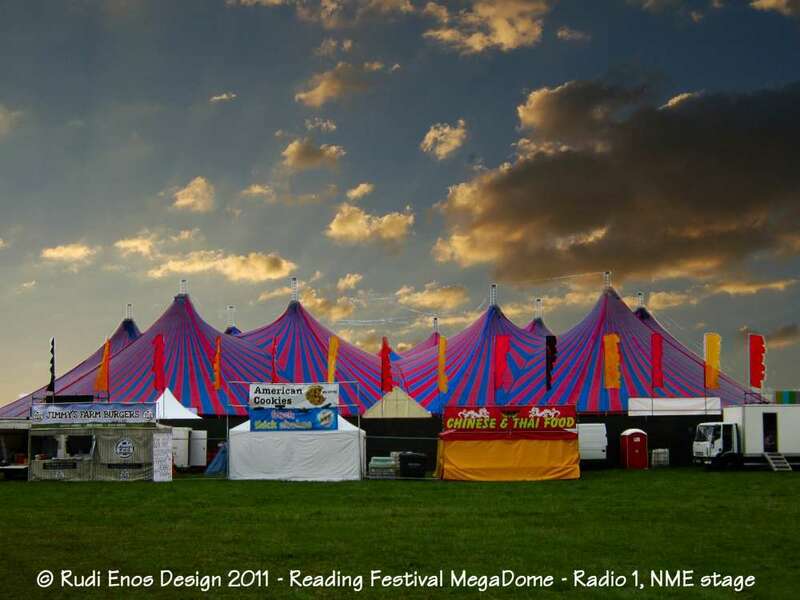 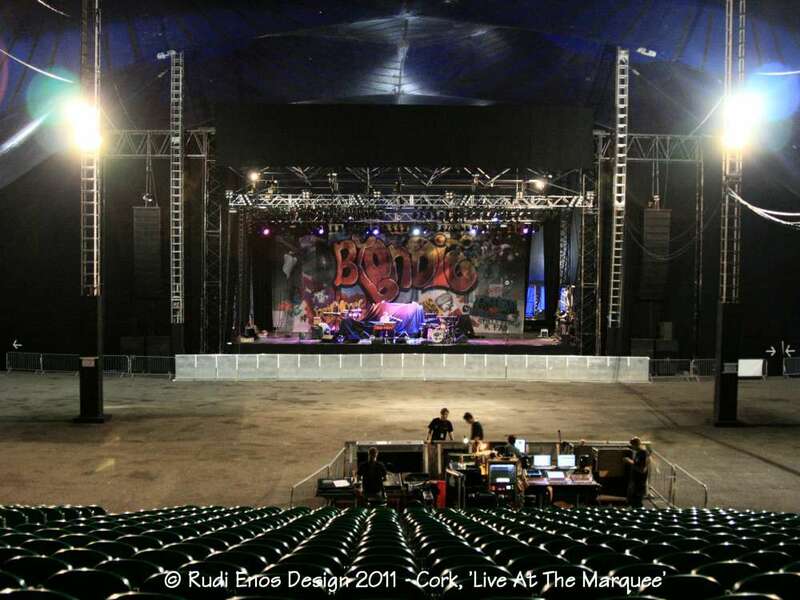 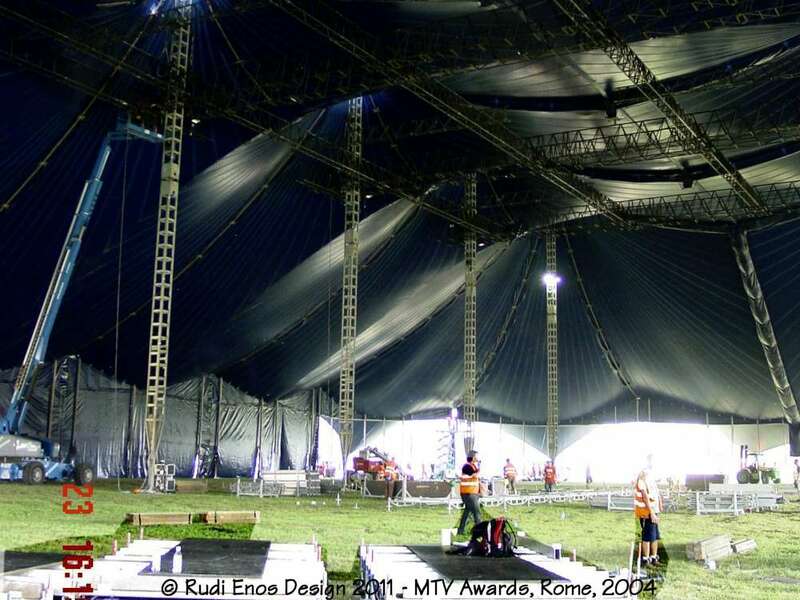 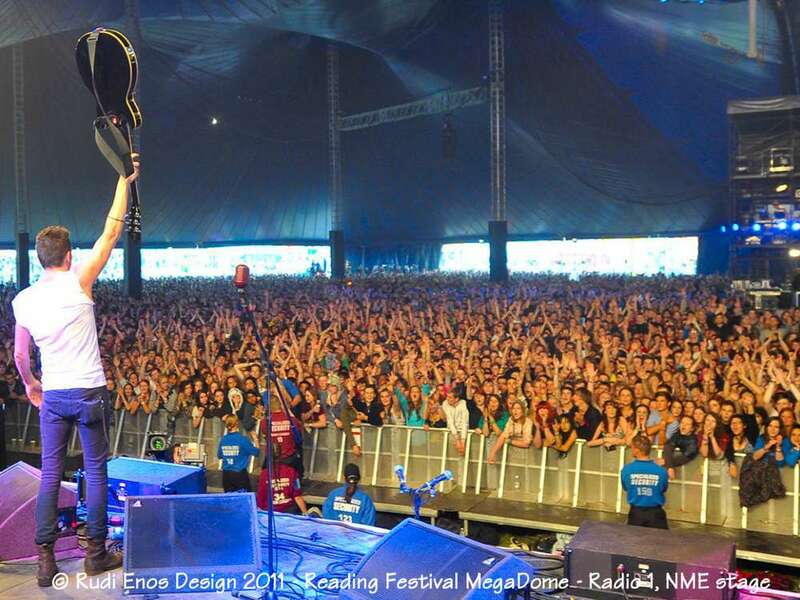 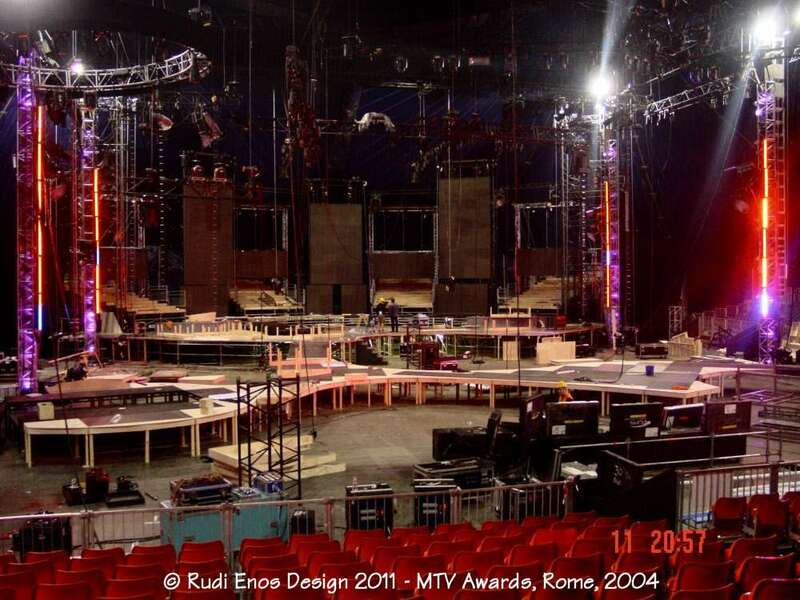 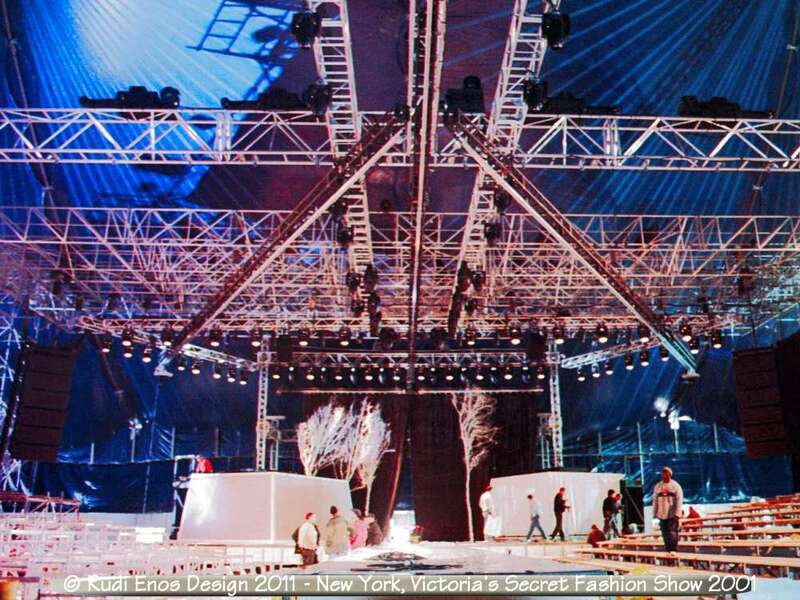 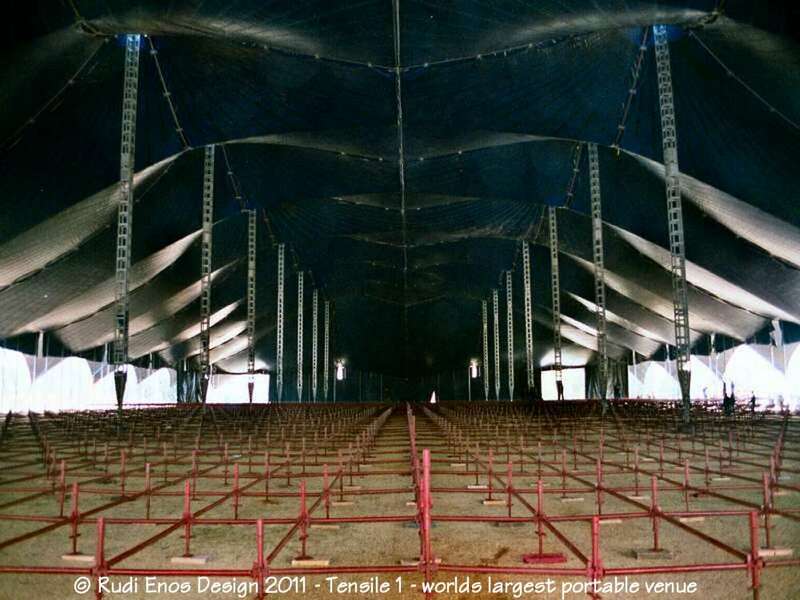 Rudi Enos has designed several of the worlds largest portable structures available for event use. These structures defy normal description as they are measured in acres rather than metres or feet and accommodate 20,000, 30,000 or more when standing. 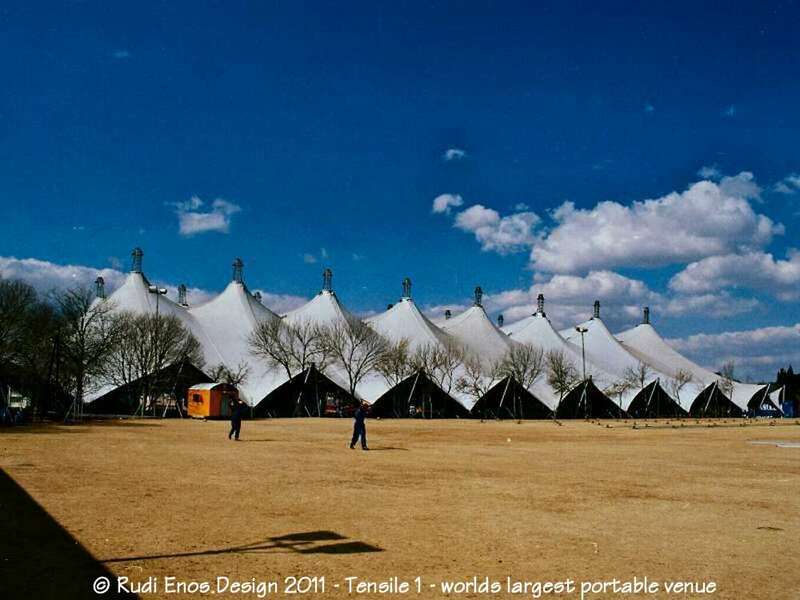 These structures have won international awards and been awarded the Guinness World Record for 'LARGEST PORTABLE EVENT VENUE' in 1999. 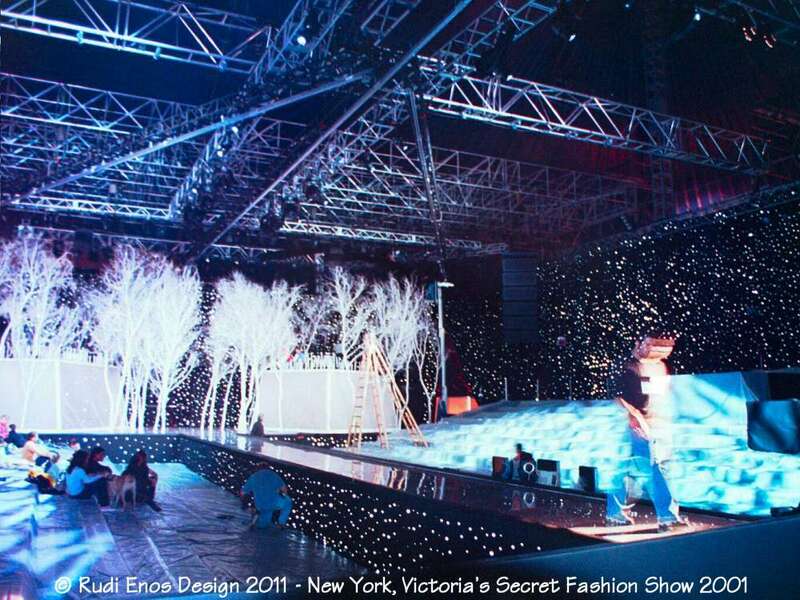 We are always looking for new collaborations to implement our designs. 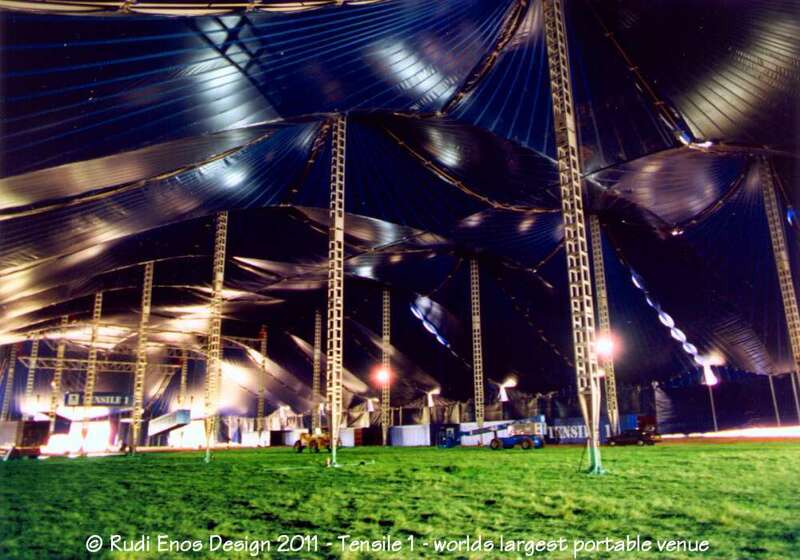 To manufacture, install and stage events in the largest tents in the world is our speciality, we would like it to be yours too. 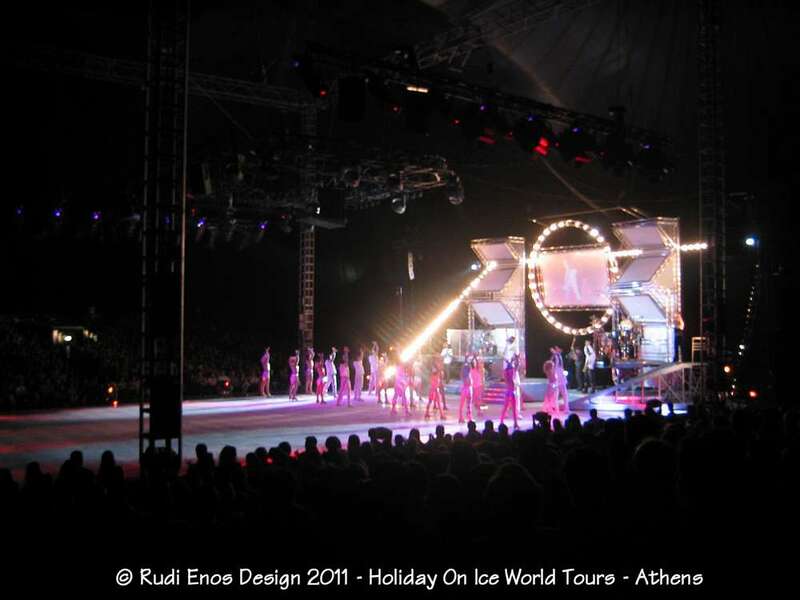 Click on film strip below to enlarge images and download.